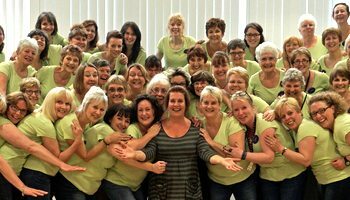 GEM Connection Barbershop Chorus (GEM stands for Great East Midlands) was founded in May 1998 by 23 enthusiastic female singers. Since then the chorus has grown and now has over 60 members. 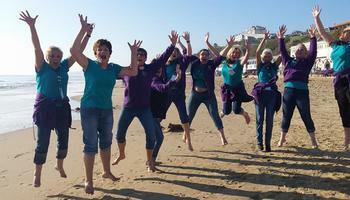 The chorus performs at a variety of events in the East Midlands, where we are based. We support both local and regional Music Festivals and community events and have also taken our music to Wales, Germany, Holland, Buffalo in New York State, and Tuscany, performing on shows and competitions with other singing groups and musicians. Our weekly rehearsals take place every Thursday from 7 until 10pm at Harrington School, Long Eaton NG10 4BJ. Click below for more details and a map. YOUR SABS 2019 INTERNATIONAL SILVER MEDAL CHORUS! 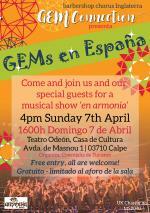 Want GEM Connection to sing at your next function? Why not hire GEM Connection to entertain at your next event? We can perform at corporate functions, charity events, community entertainment events, birthday parties, christmas parties, awards nights, weddings, engagements, anniversaries, engagements, and even funerals and memorial services.